There is just something about vintage Halloween decorations that makes me so happy. One can’t but help smile at the sight of flying witches, scaredy cats and grinning pumpkins all printed in orange in black on old costume boxes and metal noisemakers. Thus inspired, I had fun coming up with this cute Halloween pumpkin craft of three jolly pumpkins all ready to brighten up a Halloween table! Learn how to make these foam Halloween pumpkins below. Click here to download* my pumpkin trio design. 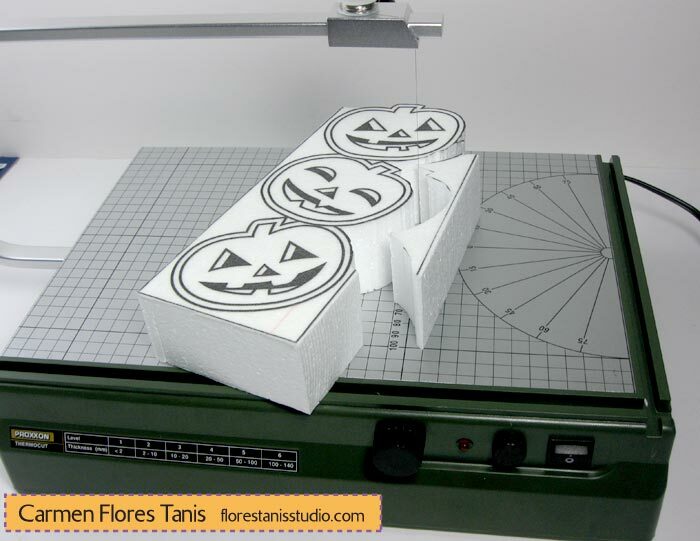 Print the pumpkins onto a Sulky transfer sheet. Peel off the backing release paper and apply the adhesive sheet to the Smoothfoam block. Trim off the excess transfer sheet. 2. Carefully carve out the Smoothfoam block with the table top hot wire cutter. 3. 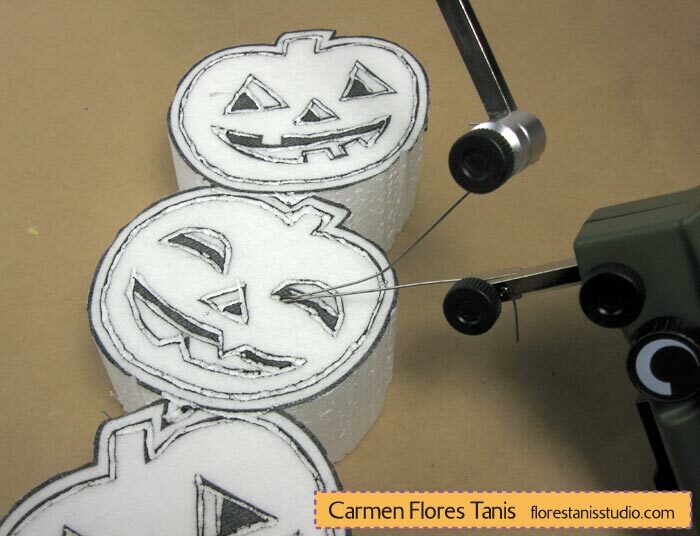 Use the handheld hot wire tool to carve the outlines and other details into the foam. Peel off the transfer sheets when finished. 4. Paint the foam block black. Let dry. 5. 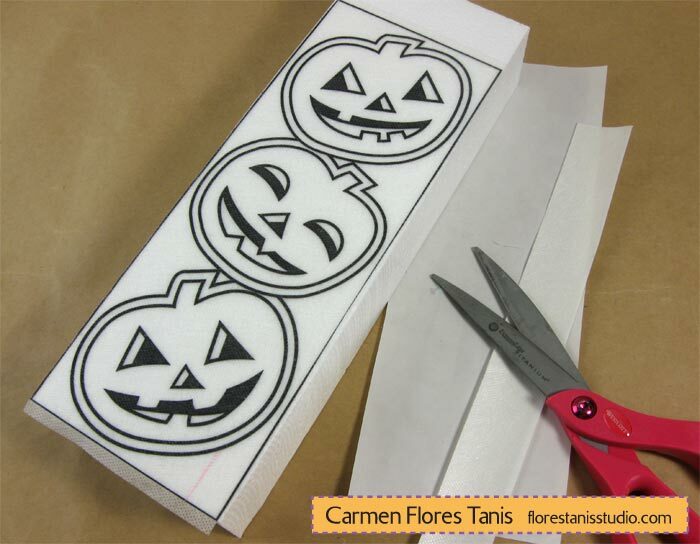 Outline the pumpkins with white paint pen. Color each pumpkin with bright orange paint. Add sparkle to each eye with a drop of crystal dimensional paint. Scribble the dimensional paint on the back of the block to add texture. Let dry. 6. Paint the Smoothfoam disc black. Let dry. 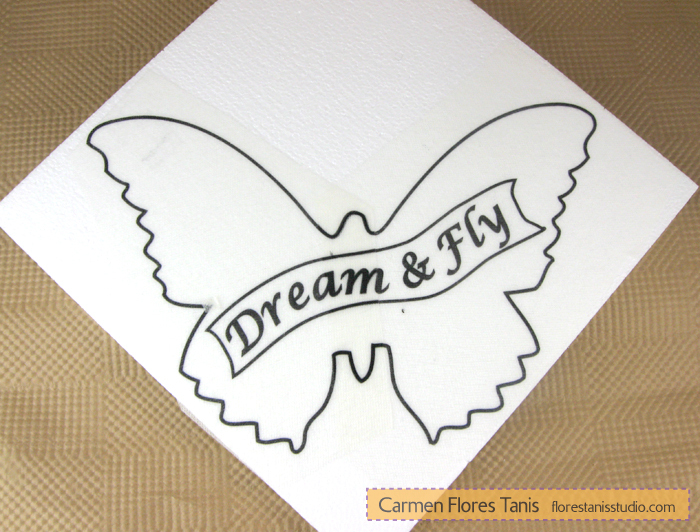 Add details to the side with the white paint pen as shown. Draw a simple spider web on the top of the disc with black dimensional paint. Let dry. 7. 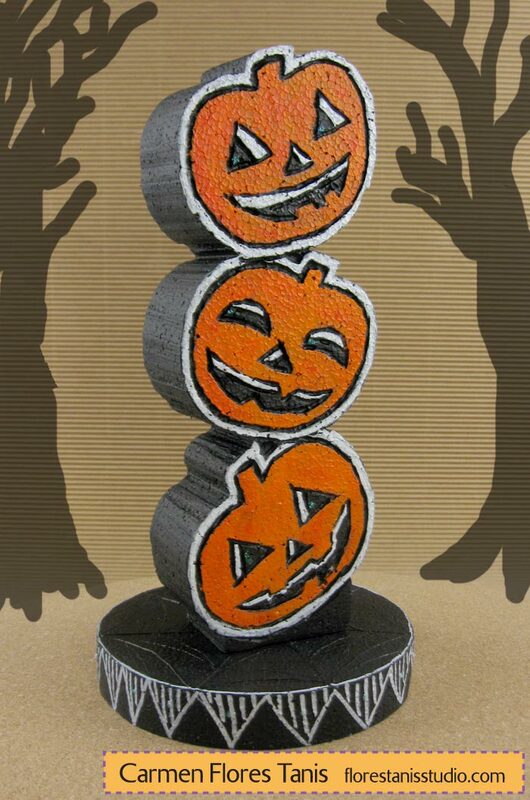 Glue the pumpkin stack onto the painted disc. Let dry. This entry was posted in General Crafts, Holiday Crafts, Home Décor Crafts, Special Techniques and tagged Block, Disc, Display, Halloween, Orange, Tabletop by Carmen Flores Tanis. Bookmark the permalink.